Have you had enough? When will the United States government stop growing? 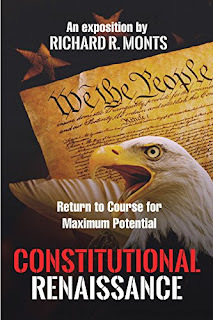 All constitutionally enumerated activities should have been in place long ago. There should be no more expansion in scope, yet there is. What we have now is an overbearing out-of-control central government—expanding far beyond constitutional limits—imposing on member states’ sovereignty. The result is a reduction in competition among states, a stifling business environment, and citizens and businesses suffering under complex taxation and regulations. On top of that, a litigious environment depresses economic activity further. There is an alternative! This book presents one that is very business friendly, establishes competition among the states, and provides a positive environment for the individual to strive for their potential while honoring the genius of the Constitution. Mr. Monts has been concerned about continued expansion of the United States government since the Kennedy administration. He deferred to others, constitutional and legal experts galore, for the correct interpretation of the Constitution. He assumed they were right. During the Affordable Care Act discussions, he had heard enough. He determined to answer two questions to his own satisfaction. First, what is the role of the United States government? Second, what is the best environment for the individual to realize their own potential? After reading the Constitution and other contemporary writings, using his own common sense, putting intellectual integrity and honesty before ideology, ignoring case law, using correct meanings of critical words, he had his answers. The results are in this book.